Well, let me start by saying that yesterday's task took longer than 30 minutes but Ella and I kept going because it we had taken it all apart so we needed to go on until everything was back together. 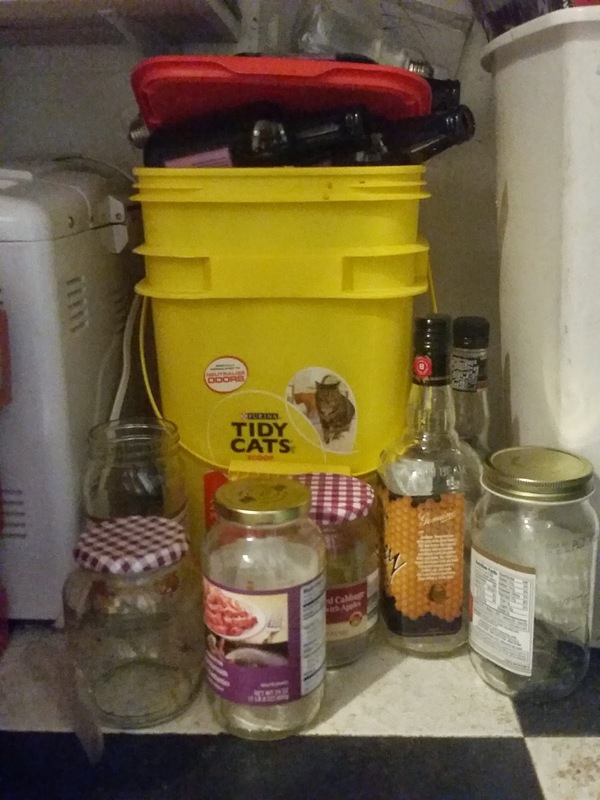 The corner cabinet in the bathroom is clean - we actually moved the cabinet, did a little repair work on it, wiped down the corner of the room and the cabinet - then we decluttered a bunch of things that most people probably toss out without thinking about it, like expired toiletries. That was very satisfying, if a little unnerving. Also, vocational homemaking ethics require me to tell you that when the oven repairman comes with the part to repair your oven, and he has the oven pulled away from the wall, and you decide you should just "spot clean" behind the oven before it gets pushed back into place: do it, then put a reminder on your calendar to do it every three months or so. Otherwise you will be forced to tell your Facebook friends and followers that your slackeredly ways have resulted in the need to apply way more elbow grease and anti-nausea meds than you might otherwise have had to use. Today I am going to spend my 30-for-30 session on the other side of the main bathroom. There is a shelf unit that holds towels, bathroom supplies, and hair accessories. We'll move the unit away from the wall, clean everything, thin the herd and reorganize. 1. Two batches of miscellaneous jars. 2. 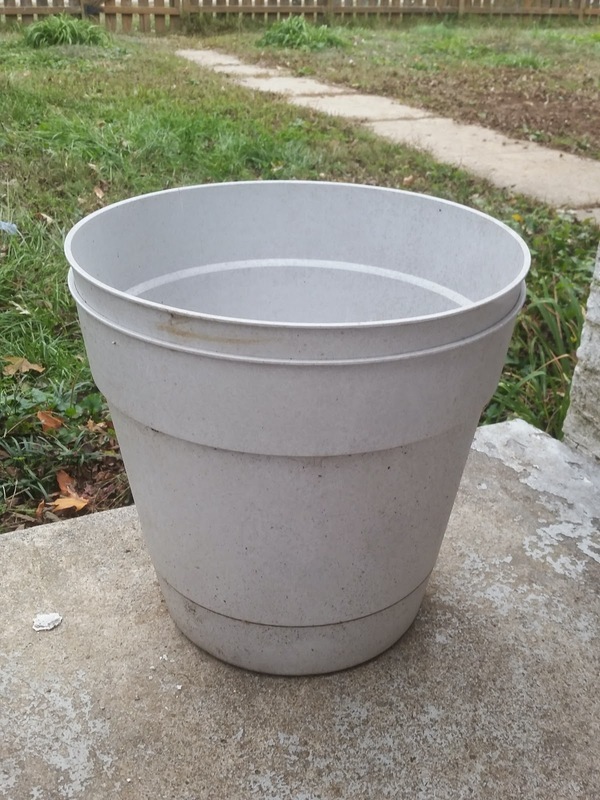 Two large plastic planters that I have never used because they are just too big. 3. Two sets of extra bed sheets. 4. A spare coffee maker. You know all those cute jar crafts on Pinterest that we are all totally going to do when we have time? Yeah. We are totally not going to have time and we are totally not going to do those crafts. I am too embarrassed to tell you how long I've been hoarding these. 18" across, 18" deep. When they are full, they weigh about what I do, which is too much to lift, push, or otherwise move. The bed sheets and coffee maker were already in the back of the car when I started taking pictures. Assuming you have ever seen those items before, please insert a mental image of them here. 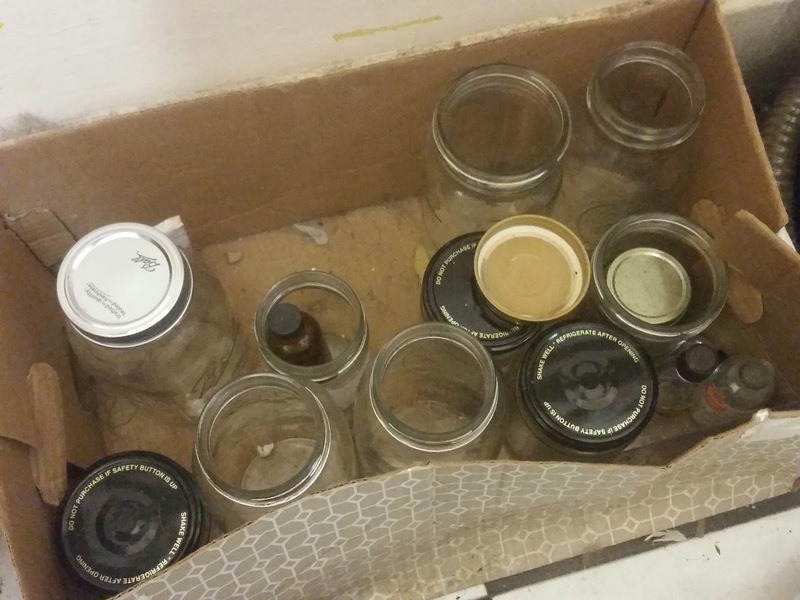 10 things deleted from my home, of which some are pairs or sets or groups, like the above-displayed gaggle of jars. My rough estimate is that I have decluttered over 50 individual items. The rules of the game state that the items are to be out of your home by midnight each night, but that is SO unrealistic for me, because frankly I don't leave the house unless compelled to do so by something like karate class or a run for emergency chocolate. So I'll be taking things out once a week, on my errand day, which most weeks is Tuesday. How do you handle it? Do you get things out of the house right away or do you set aside a time to do it? Virtual cheering for your good work!!! We are lucky to have a Walmart Market with donation bins just around the corner. That makes it easy for me to do a daily dropoff if I prefer. Otherwise my piles become permanent, they are knocked over by the children, must be picked up again, etc. OOOOOOOOOOO, that reminds me! There is a donation bin at our Y, I could drop off there very easily. Thank you for mentioning it! Yay! This is inspiring. I wonder what I can do in 30 minutes? Maybe part of a bigger job and just piece it out for the week. Anything you do will make a difference! Once you get started there is no telling how far you can go!